Provide comfort for the family of Dorthea James with a meaningful gesture of sympathy. Dorthea Mae Cauble (James) was born May 14, 1928 on the farm in Zook, Kansas. Her early years were spent in western Kansas in Big Bow on a homestead. The Dust Bowl drove the family back to Zook where she went to grade school and high school and played on the high school basketball team and formed friendships that lasted a lifetime. She went to work after high school in Larned as a secretary for a year before attending Haviland Business College. She met the love of her life when her brother brought Dale James home from Fort Hays State for a hunting trip. When she was really tired she would say, he shot, I fell, end of love story. They married March 23, 1951 in Larned at the first of many celebrations of their life together. After a short honeymoon, they lived in a small trailer in Hays while Dale finished college. They loved their early life together weathering a flood and snowstorms and added more lifetime friends. After graduation, they returned to the family farm in Shields, Ks. Raising their three children, Rose, Diana and Danny, Dorthea was the epitome of the farmer’s wife and helpmate. She loved her friends, quilting, gardening, sewing, and being involved in all her children’s activities. They loved owning a stock race car (although she never let him drive it) and dragging their children along every weekend to the races. After raising her own three kids, she actively participated in her grandchildren’s lives, passing on her values and love to all her grandchildren. She was a Shields 4-H leader for 20 years . She belongs to TOPS for over 20 years, ESA Sorority for 10 years, UMW, As You Like It Club, and was a founding member of the Lane County Red Hat Society. She was an active member of The Joy Center as a board member and president. She loved to golf and was a member of the Lane County Country Club. She was a member of the Shields Methodist Church and later the Dighton United Methodist Church. She loved to watch sports, especially basketball, going to all the Dighton games with her friends whether she had a child or grandchild in school or not. After her husband passed away in 2003, she continued to manage their farm and moved to Dighton. In 2016, she moved to assisted living in Wichita to be closer to her doctors, and daughter Rose. This was just another chapter in her life that she once again took on with delight, meeting new friends immediately and finding ways to make this chapter as special as the others. 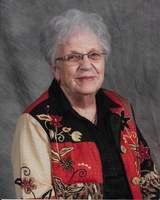 Dorthea died on Sunday, February 3, 2019 at Via Christi Village in Wichita. Dorthea was preceded in death by her husband Dale James, 2003, son Danny James, 2016, granddaughter Hope James, 2012 and brother Ronnie Cauble, 2017. She leaves behind her two daughters Rose Meals and husband Paul, Wichita, Ks, and Diana James-Cairns and husband Wally, Redwood City, Ca. Grandchildren Becky Cole and fiance Clint Brooks, Maize, Matthew James, Dodge City, Luke James and Julie, Olathe, Ks, Abby James and Dale James, Hays, Bridget James and Kaitlyn Danielson, Dighton. And 7 great grandchildren, Taylor, Kaden, Kaylee, and Tatum James, Lexi Cole, Tanner Stacy, and Natalie Raub. She also leaves behind a legacy of friendships with people from all walks of life. She had a big heart and was loved by all. 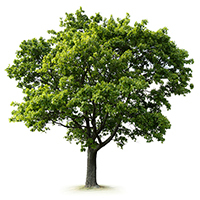 To plant a memorial tree in honor of Dorthea Mae James, please visit our Heartfelt Sympathies Store. We encourage you to share your most beloved memories of Dorthea here, so that the family and other loved ones can always see it. You can upload cherished photographs, or share your favorite stories, and can even comment on those shared by others.